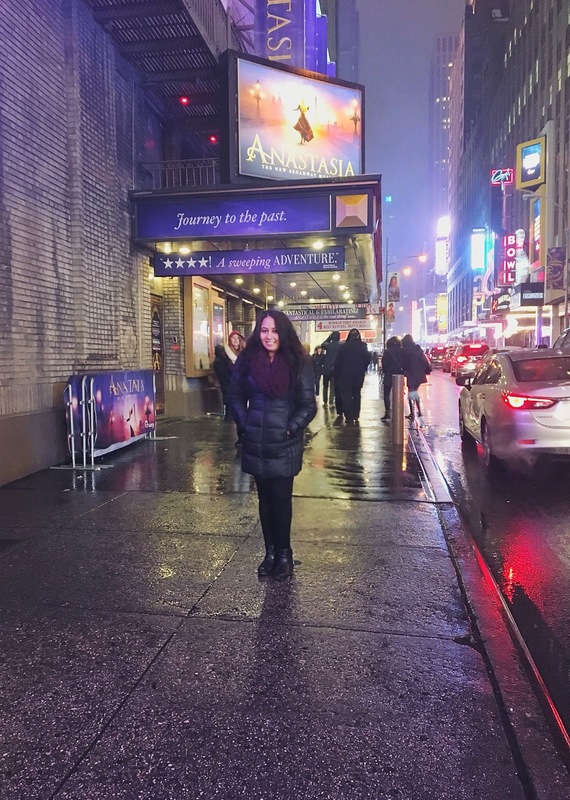 I finally got to see Anastasia on Broadway and it was the best show I have ever seen! I have been fortunate enough to have seen a couple of Broadway shows throughout the years. I was especially excited when I saw billboards around New York City that Anastasia was coming to Broadway. My inner child was screaming of excitement as this was one of my favorite movies. I remember vivid memories of making my mom and dad re-watch this movie with me a million times. 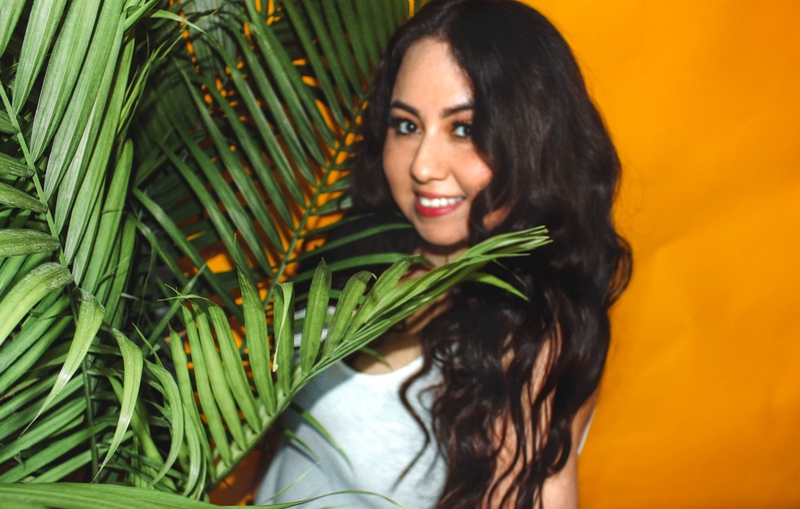 I use to have the music cassette tapes and would sing all the songs on my karaoke microphone pretending to be Anastasia. For my birthday, I was surprised with tickets to see Anastasia and I literally couldn't contain my excitement. Counting down the days till the day came, I couldn't help but re-watch the movie a few times. The day of the show, it also just so happened to be the first snowfall in NYC. Having the snow interfere, we wanted to make sure we got to the city a little bit earlier than usual. You would think people will be inside during a snowy-day but nope... NYC is always alive no matter the weather circumstances. After getting a bite to eat, we headed to make to make the line to enter the theater. I never been in a line wrap around the corner to enter a show before. The show was actually sold out, which I knew right then that it just had to be amazing. The Broadhurst Theatre, is on of my favorite Broadway theaters, it's just so stunning! Anxiously waiting for the show start, I couldn't help wondering how the play was going to interpret the movie. The show began and my breathe was taken away!!! Like I said before, I've been to quite a few Broadway shows before. 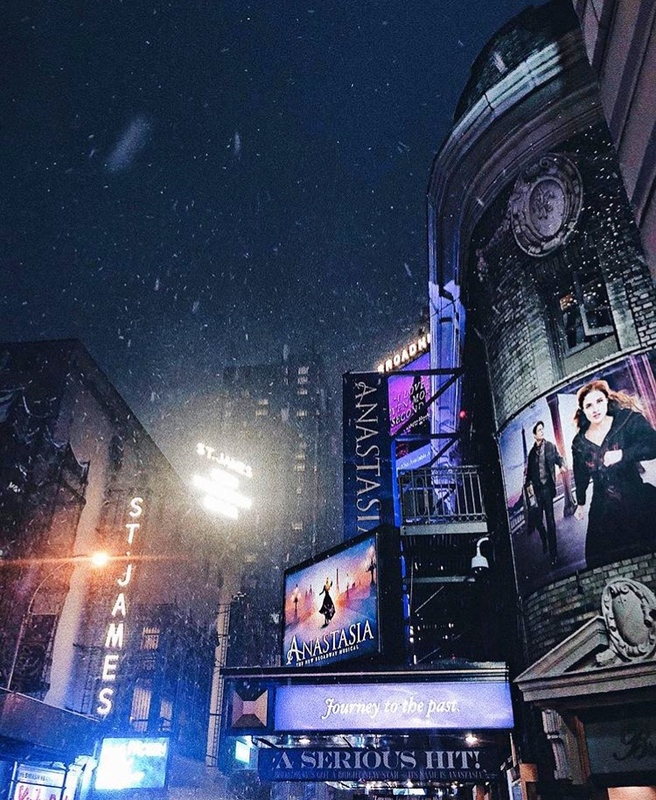 Anastasia, hands down was my favorite show I have ever attended. From the set production, the intricate costumes, the performers, the orchestra, just EVERYTHING was so beautiful. I loved how they adapted the film in a unique way also adding a different twist to it. I had goosebumps and chills during the entire play as well as shedding a few tears. I was singing along to my favorite songs taking me back to my childhood. I wasn't surprised when they show ended, everyone was giving a standing ovation to the cast. I loved everything about this show that I'm already planning to watch it again! As everyone was making their way to the exit, I headed to restrooms which had the longest line ever. There was a merch stand selling Anastasia memorabilia and was sad that it had already closed because I wanted to purchase a few things. As I was making my way to the exit, I noticed a bunch of people screaming and taking pictures near the door. I get closer and was able to see the cast from the show signing autographs and taking pictures. 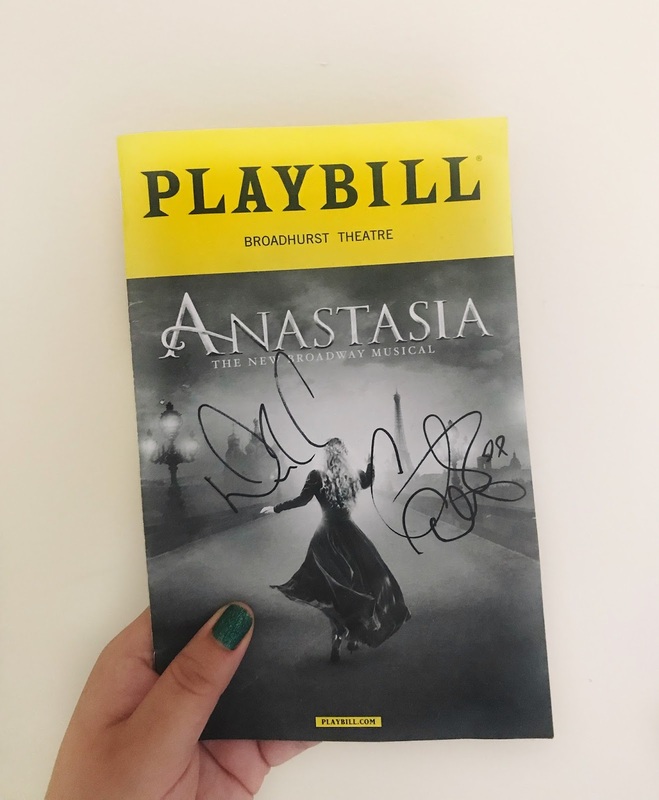 I was able to get my pamphlet signed by Anastasia (Christy Altomare) and Dimitri (Derek Klena)! I could talk about this play forever but nothing beats seeing it in person and experiencing it yourself. I highly recommend checking it out if you're ever in New York City.